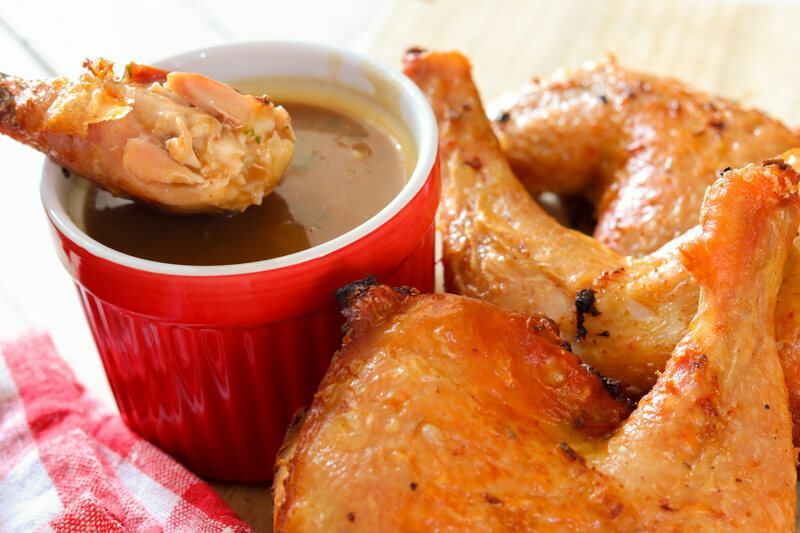 Toss the chicken into the marinade, slightly massaging it under the skin and into the meat. Leave those flavors to penetrate overnight in the chiller. 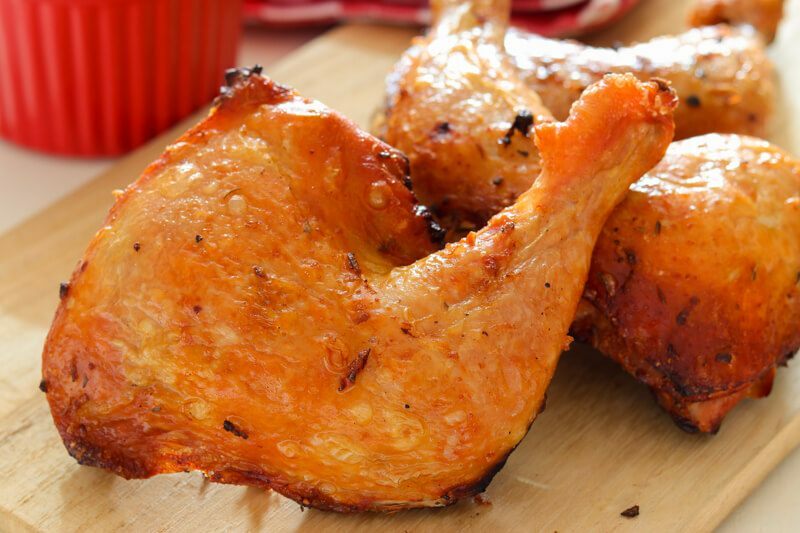 Take the chicken out of the fridge and give it about twenty minutes to half an hour to come to room temperature. Putting them cold straight into the oven would definitely lead to uneven cooking. Get your oven pre-heated to 220C. 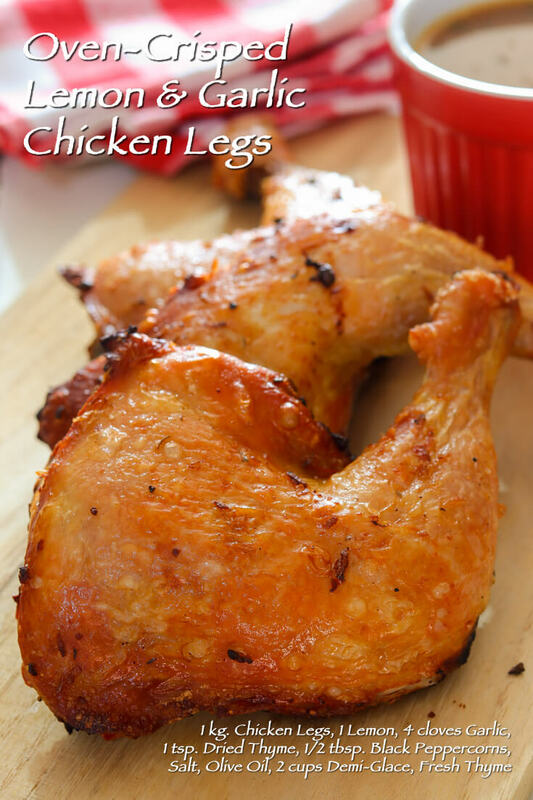 We want those chicken legs to get a quick sear for the first 15 minutes of roasting. 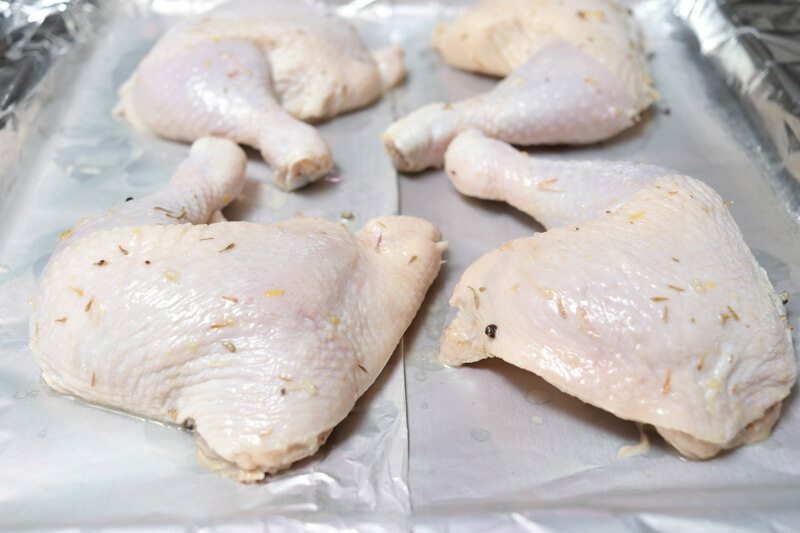 Arrange those chicken legs on a baking sheet in a single layer and season generously with salt. I wouldn't advise going for a baking dish with considerably high sides. That would prevent ideal heat circulation, which is essential to getting those skins crisp. Let the chicken sear for 15-20 minutes at 220C. Then, turn the heat setting down to 180C, baste each chicken with the pan drippings, and continue roasting for another 20-25 minutes. 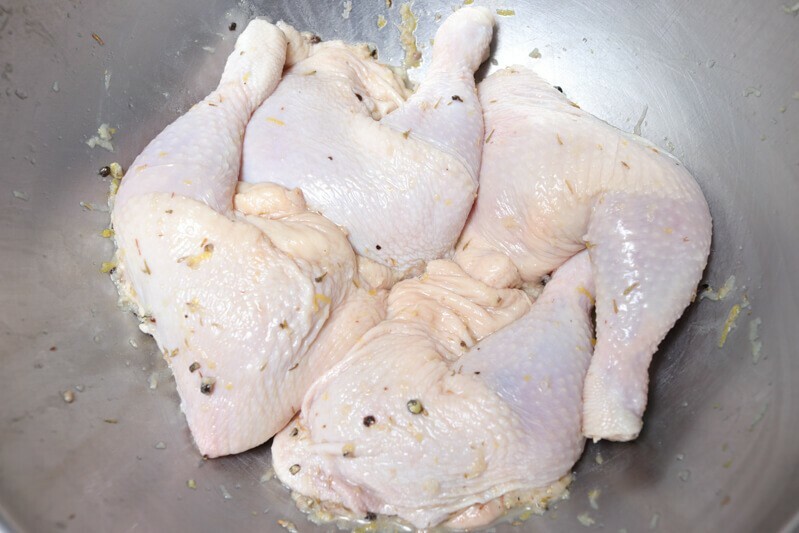 A good way to check if they're done would be to make a small incision at the joint where the thigh and drumstick meet. Meat juices should gush out clear, without any trace of blood. If you do have a meat thermometer though, simply go for an internal meat temperature reading of 165F. 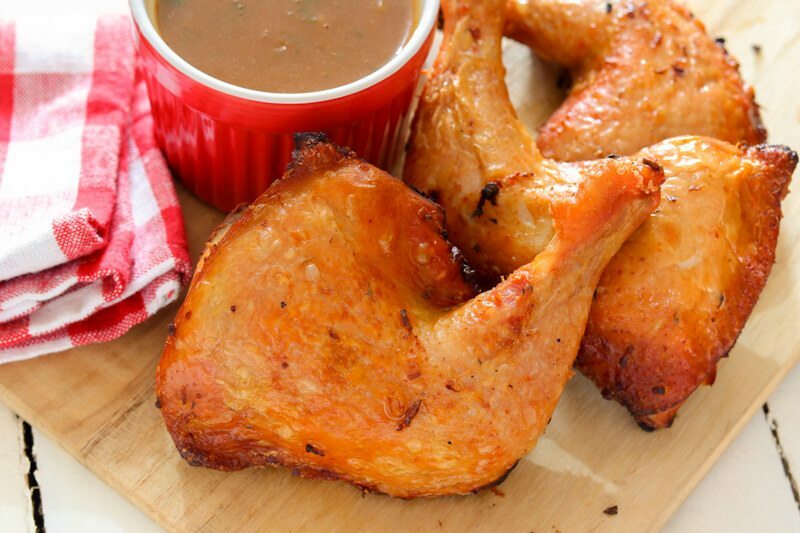 Take the baking sheet out of the oven and leave the chicken legs to rest for a few minutes. It would be a good idea to make a simple jus in the meantime. 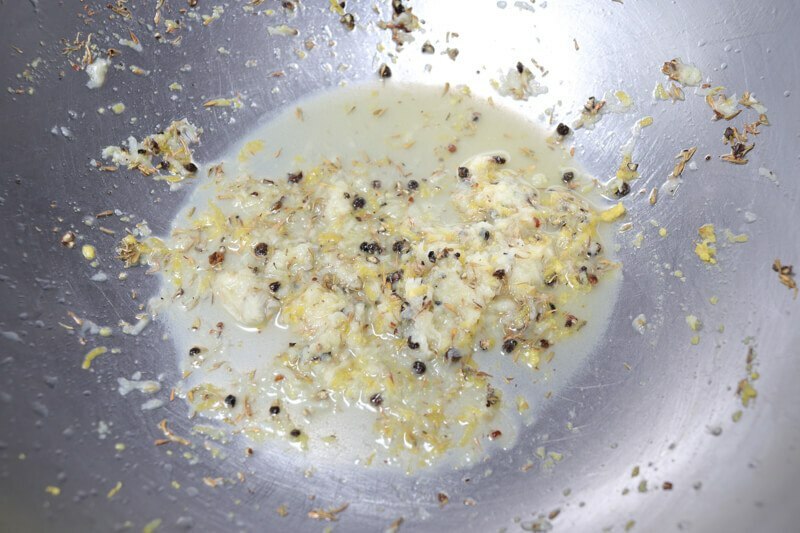 Simply pour the pan drippings into a small sauce pot and allow it to reduce over low to medium heat. This should intensify those roast flavors further. 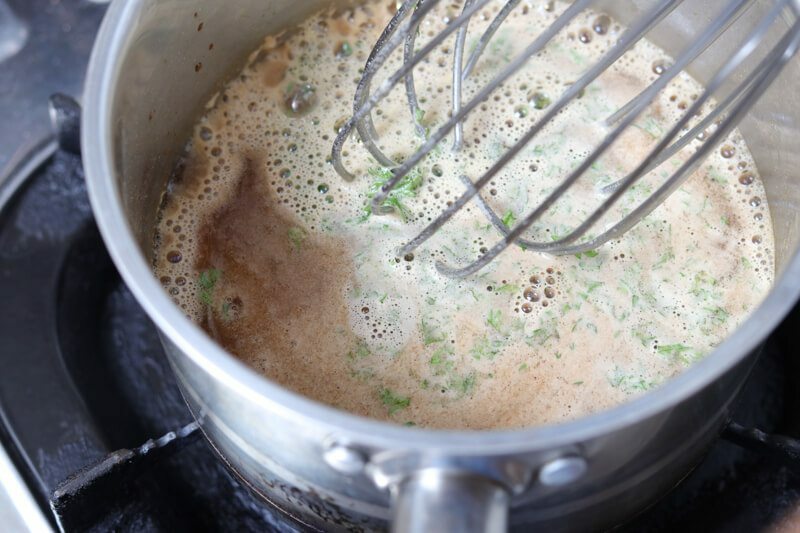 Then whisk in some store-bought demi-glace and again reduce until you get to a consistency that is just thick enough to coat the back of a spoon. From here, you could add any flavor component into your jus to give it a flavor profile. Some chopped tarragon or more black peppercorns would work well for this recipe. Finally, turn the heat off, and whisk in some cold butter nuggets into the sauce to give it more sheen, richness, and body.